Are you intent on enjoying an evening filled with adventure? Are you organizing a get-together for your girls? 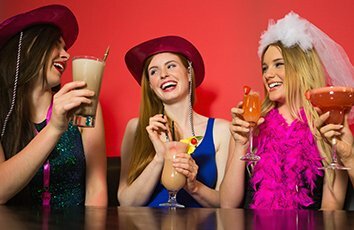 Providing transportation for hen dos is something we do well, and something most people have never tried to organize before. So, whether it’s a party, a night of clubbing, a boozy brunch, a cheerleading course, a burlesque dance class, or a day at the spa, count on us to get you there in style. Hoping to jump on a quad bike, do some stunt driving, go on a pub hunt or challenge your mates to a pizza making competition in York? Say no more. Enjoy your night out in style as we take over the duties of your designated driver. Whether it’s an old-fashioned pub crawl or a day of off-road racing mayhem, the Minibus Hen and Stag Do Minibus York package will not disappoint. Whether it’s a one-way trip or round-the-clock transport for you and your friends, our chauffeured service can help ensure that everything runs smoothly from start to finish. Simply get in touch over the phone or using out Contact Us form, and we’ll happily give you all the information you need about our Minibus Hen and Stag Do Minibus York package.